I’ve often heard from readers that the vinaigrette I’ve posted id either too difficult or requires ingredients that are too expensive to purchase for only one dish. 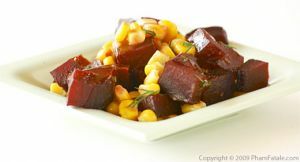 Well, fear not; the ingredients in vinaigrettes can be easily swapped out for whatever may be available in your pantry. The real key to easily creating delicious vinaigrettes is to apply the basic rules. Almost all of my vinaigrettes requires a few basic ingredients: an acid (vinegar, concentrated sour-tasting fruit juice, lemon juice), mustard (coarse grained, honey, horseradish, flavored mustard), a sweetener (very sweet concentrated juice, syrup, honey, sorghum), an oil (olive, sesame, walnut, pistachio, etc. ), seasoning (salt & pepper) and a mix of herbs and spices (oregano, basil, shallots, pickled garlic, etc) of your choosing. The acidic ingredient and sweetener help balance the salad dressing. The lecithin in the mustard acts as binder and helps emulsify the oil into the mixture. 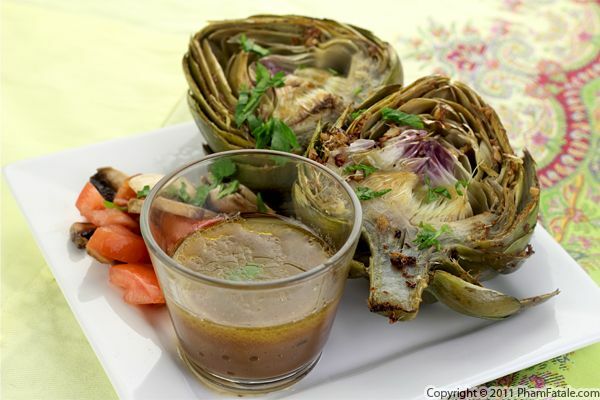 I used this blueprint to create a dressing for garlic pan-seared artichokes (I pre-cooked them) accompanied by button mushrooms, tomatoes and capers that I drizzled with lemon juice and extra-virgin oil. 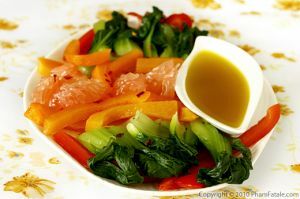 If you want to recreate this particular vinaigrette but don’t have an ingredient or two on hand, have fun with it! Vinaigrettes are very forgiving, making them perfect candidates for kitchen experimentation. And if you come up with something fabulous, please let me know! Making vinaigrette: In a sealable jar, combine 3/4 cup lemon juice, 1 clove of garlic, honey, mustard, 2 tablespoons parsley and the extra-virgin olive oil. Cover with a lid and shake until the dressing is well combined and emulsified. 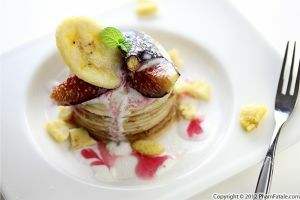 If you use a regular bowl, simply mix using a whisk. Season with salt and black pepper. 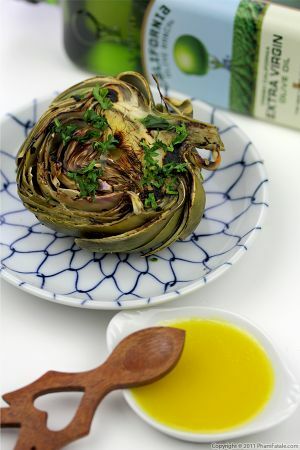 For the artichokes: In a large non-stick pan, heat 1 tablespoon olive oil. Add the remaining garlic and cook until slightly golden. 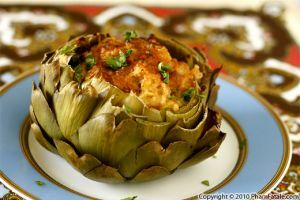 Add the halved artichokes face down and cook for about 3-4 minutes. Remove from the pan when caramelized. Let cool to room temperature. For the accompaniment: In a small bowl, combine the mushrooms, tomatoes and capers. Drizzle with ¼ cup vinegar and the remaining olive oil. Mix well and set aside. 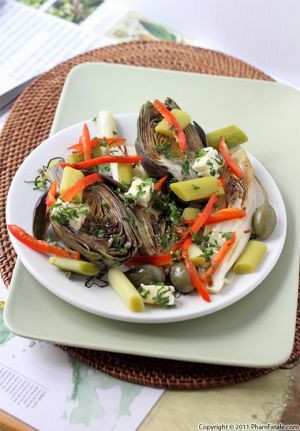 Serve the seared artichokes with the mushroom mixture on the side. Drizzle with the vinaigrette. 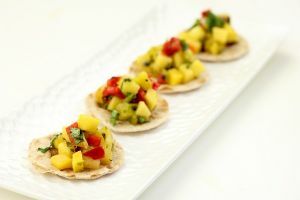 Check out this link for more vinaigrette recipes. 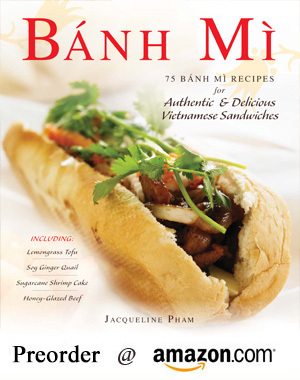 Published By: Jacqueline Pham on November 8, 2011.